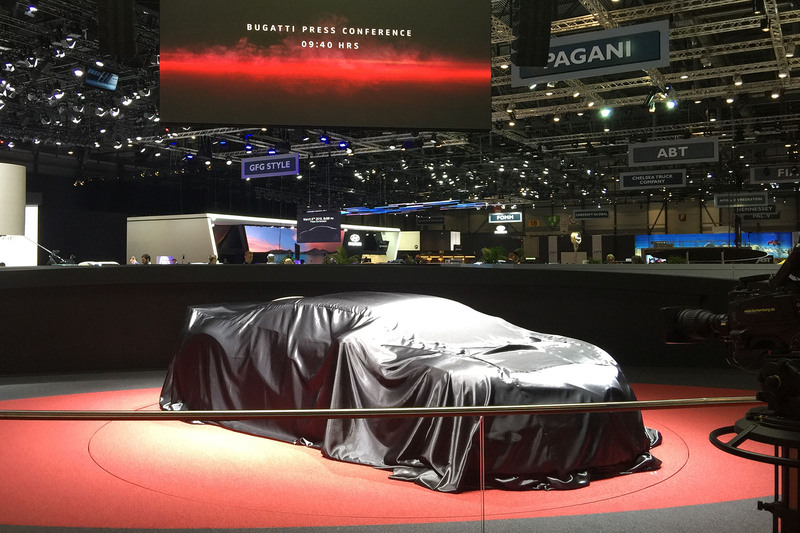 To judge by the pre-event publicity, the 88th running of the Geneva motor show looked as if it should best be described as a “Let’s punish Tesla” event. The world’s biggest and best car makers have long promised that they wouldn’t leave the glamorous, growing electric premium car space to a Californian upstart for long, and this looked like being the place they proved it. It turned out that way too. There were more credible, near-production electric and electrified cars on hand than at any previous European motor show, and these were also the cars that took most attention, trumping just for once the ever-present crop of somewhat preposterous hypercars and tastelessly modified luxury motors “for rich individualists”. Finding this year’s show star wasn’t hard. You needed to look no further than Jaguar Land Rover’s new, huge and expensive stand, where the all-electric Jaguar I-Pace took centre stage. The car, driven by selected hacks before the show’s opening, was the darling of the throng as few cars ever are, being honestly admired even by rivals. 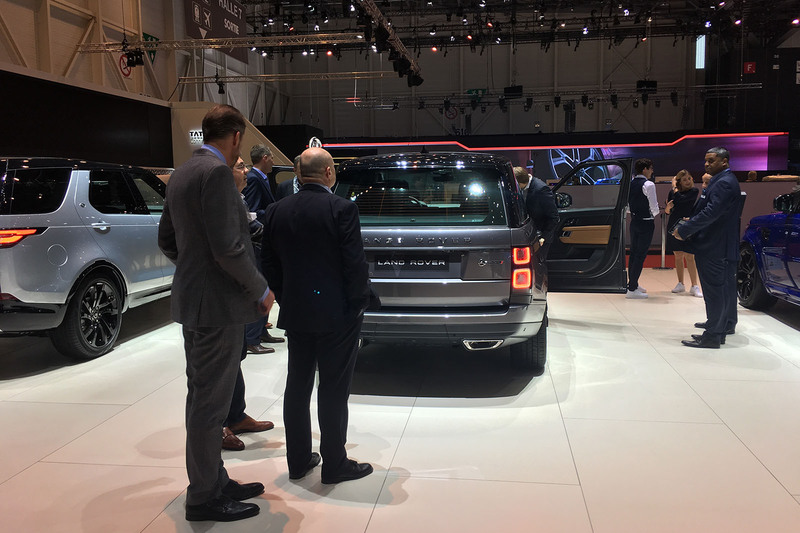 It looked brilliant in the metal and the plaudits were so numerous that even JLR’s CEO, Ralf Speth, who would normally rather have his teeth pulled than boast about one of his cars, was forced to admit that the reception had been “fantastic”. The Jaguar’s lead over rivals will be short-lived: both Audi and Mercedes have similar cars nearly ready. But everyone admitted Jaguar’s execution had been exceptional. If one design showed how electrification could free up cars’ proportions, this was it. Other credible electric cars stood almost shoulder-to-shoulder. 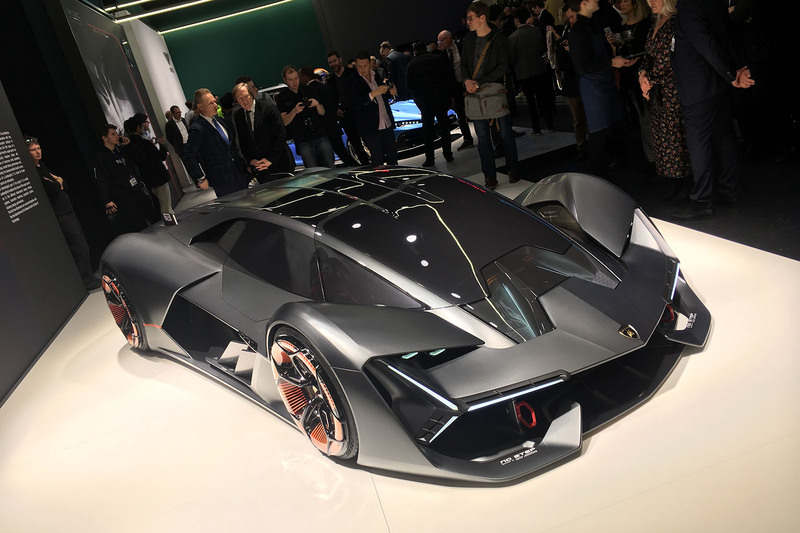 There was the Volkswagen ID Vizzion, a 300bhp flagship due in 2022 that’s smaller than Phaeton but just as roomy.Aston Martin showed the Lagonda Vision Concept from its new stand-alone sub-brand, a battery limo aiming to fit between Rolls-Royce and Bentley and purporting to show that modernity and luxury were not mutually exclusive. Renault had a fully autonomous EZ-GO urban people-carrier with no steering wheel, Seat’s Cupra brand presented a 680bhp e-Racer, Hyundai’s Kona Electric small SUV showed off a 292-mile range – and even Ssangyong had an electric concept called e-SIV. New hybrids and plug-in hybrids were thinner on the ground, the only significant one being the Bentley’s Bentayga V6 plug-in hybrid. It looked like a shortfall that might become an early trend. Some say plug-ins are already becoming less popular as 300-mile battery cars become more prevalent and viable, with even better gains in range and energy density – from solid-state batteries among other technologies – waiting in the wings. However, those who expected conventional cars to be on the back foot were disappointed. Ford had a whole clump of sporting and family model updates with nary a hybrid to be seen. Land Rover was prominent with the much-admired Range Rover SV Coupé, and a bumper crop of supercars was led by the businesslike McLaren Senna GTR track car, though Bugatti’s Chiron Sport also drew many an eye. Jeep showed European versions of its Wrangler and Grand Cherokee Trackhawk, while Morgan had a run-out Aero GT (while revealing that its all-electric Three Wheeler still “hasn’t quite reached” production). And naturally there were new, nearly-the-same versions of the Ferrari 488 (Pista) and Lamborghini Huracán (Performante). The diesel sales decline – everywhere but Italy – was the elephant in the room, until VW’s redoubtable boss Matthias Müller sternly declared that he expected customers to return to diesels, and soon, once they had digested the knowledge “that diesels are eco-friendly”. It struck me that the VW chief might have been attempting to do something to benefit the whole industry (except Toyota, which won’t be making any more diesels), knowing that such an utterance from him would get so much attention that hasty opponents might have to take another look at the facts. No outcome yet, but it was certainly an unexpected and brave bid for redemption. Every March, the world’s car industry and media descends upon Switzerland to showcase new and revamped models. The doors open to the public from 8-18 March, most of the big reveals took place on the official press days. The Autocar team was out in force to cover the show, with our team in Geneva ably supported by staff in Autocar Towers (in far less glamorous Twickenham). Take a read of the our live blog below, to learn a little more anbout all the cars that have been launched at the show. Mercedes-Benz is persevering with the next SL, says it'll be a "real wow car"
That's almost it from our Geneva motor show live coverage for today, largely because it's getting late in Switzerland and they're kicking us out of the show halls. Our intrepid show team are now heading back to their hotels - mostly so they can sit at their laptops and keep on working. So keep an eye on the website throughout this evening and tomorrow for more news, updates and insight. 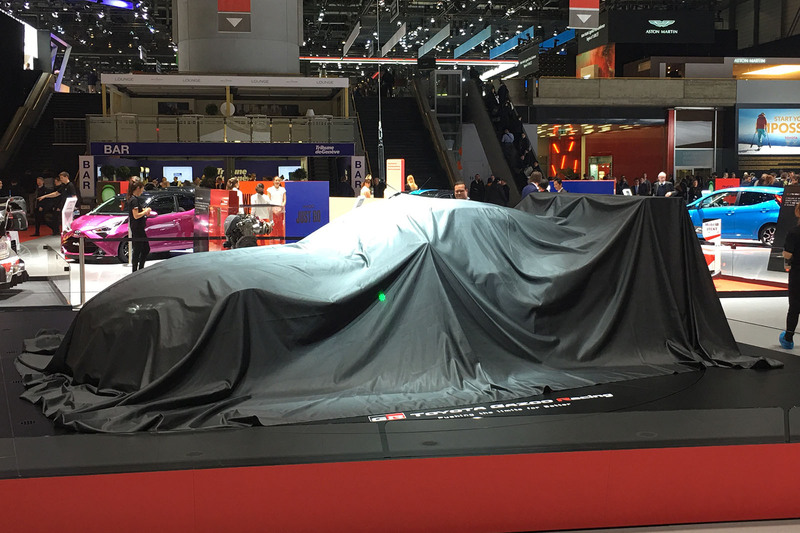 There's plenty to read from today too: you can click here to see all the stories in our Geneva motor show news feed. Lots of them, eh? And, of course, still to come later tonight is our mega Geneva motor show video. Matt Prior (stands in front of the camera and talks) and Mitch McCabe (point the camera at Matt) have been traipsing the halls and looking at the key cars revealed today. It will be worth waiting for, trust us! Elsewhere, Rachel has been admiring the Honda Urban EV and Sports EV concepts again: "Nothing new here but still two of the most original looking cars at the show. The only news is order books for the UK will open early next year for the smaller Urban EV. It will be interesting to see if people will put money where their mouth is." As well as hearing about Ferrari hybrids, Rachel has been talking to marque boss Sergio Marchionne about a variety of topics. We'll have more on the site in a bit. One nuggest from Rachel: "Marchionne said that the upper limit of Ferrari pricing isn’t yet reached. When you consider the new La Pista is thought to cost around £215,000, you wonder how much higher they will go. He also said LaPista numbers would be restricted - it will never push volume on its sports cars. Presumably that’s where the SUV comes in..."
Things you don't normally associate with Ferrari, number 1 in an occasional series: production hybrid engines. Things you don't normally associate with Ferrari, number 2 in an occasional series: SUVs. So who fancies a Ferrari SUV with a hybrid engine then? Well, it might just happen in 2019... check out our story here. Atters says: "As a bit of a stickler for punctuation (occupational hazard), it was a relief to see the apostrophe disappear from the new Kia Ceed's name. That said, my sensibilities are now hurt by the Rimac C_Two. What's with the random underscore?! Apparently, it's only a working title: hopefully the final one won't have any random punctuation stuck in it..."
Start saving now, Atters: "The Polestar 1 might be left-hand drive only, but it's good to know that it will be sold to UK buyers from launch. Having attended the launch event last year and seen it up close, I can confirm it's definitely a 'look better for real than in photos' stunner. I could probably stretch to the £2230 deposit, but not sure my Autocar salary will stretch to the full £116,000 or so price tag... Shame." "The unveiling of the Toyota Auris was a perhaps little overshadowed by the Toyota GR Supra Racing Concept that was revealed a few minutes later, but it's a significant car that shouldn't be overlooked. There's a choice of two hybrid engines and no diesels, which Toyota says reflects the growing sales of hybrid cars in Europe. Toyota has led the way with hybrid tech since the Prius, and it's clear it's front and centre of its electrified future," says Atters. 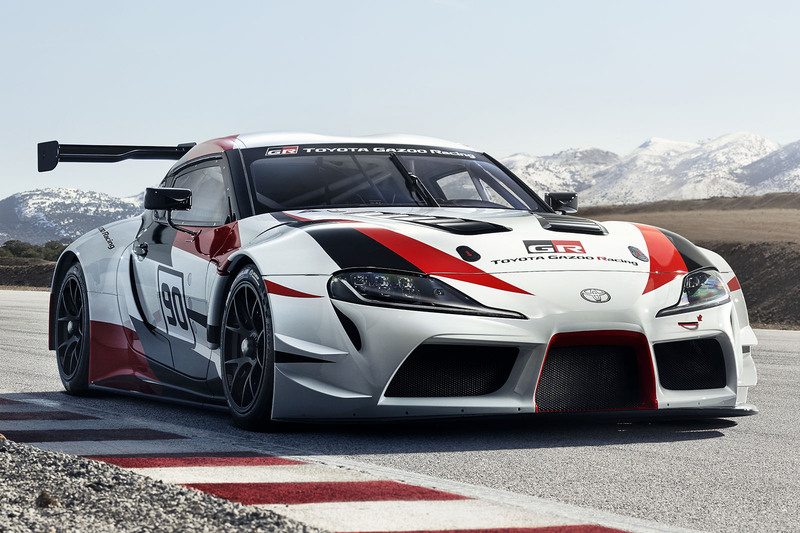 "'Its like a GT86 with more power' was the gist of how the new Supra's engineer described the comeback sports car. Given how the GT86 is one of the greater driver's cars of modern times, what's not to like about that?" Tish is getting the inside line on the Toyota Supra. Rachel's collared Ferrari boss Sergio Marchionne, who said: "The Pista is not for anyone. You must own at least one Ferrari, and then it’s up to regional dealers to decide who is invited to own one. “They’re not just for anyone. If you drove a Mustang before then go to your Ford dealer next time,” he lightheartedly said." Diesel isn't dead, is the emphatic position of Zetsche. "Let's start with the facts. A modern diesel is a very clean engine, that can fulfil current regulations. Our diesel engines have capabilities to meet the next phase of testing as well. Emission levels are comparable to gasoline levels, and have a 10-15% advantage on CO2. Many efforts of mankind are focused on reducing the carbon footprint. It's irresponsible to forgo the opportunity to progress on CO2 side as long as it doesn't have significant disadvantages for other emissions. We will continue our developments, as in the past." Mark's been chatting with Dr Z: "Daimler boss Dieter Zetsche has met his new shareholder - and Volvo owner - Li Shifu, and had a "very amicable chat". Zetsche said Shifu is "a good entrepreneur with a strong position in China - there's nothing wrong with that". 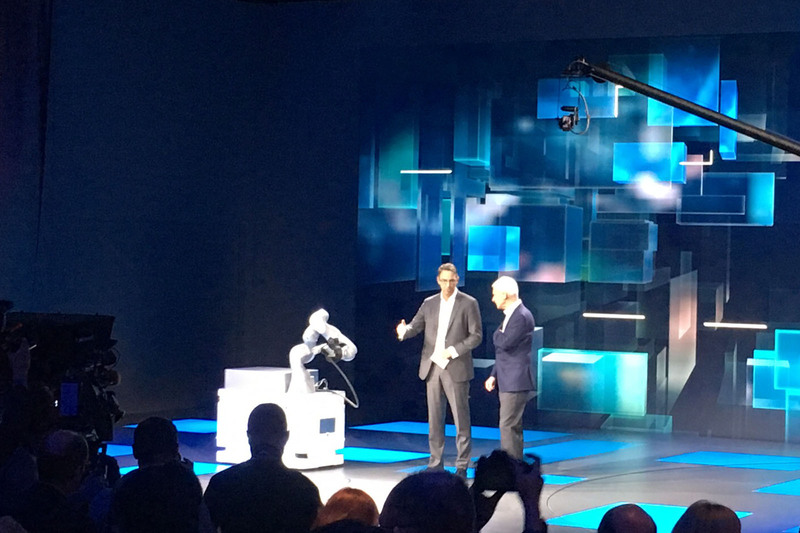 But while Shifu "can decide what Volvo wants to do, he can't on Daimler", said Zetsche, whose chat with Shifu was more one of the current state of the industry than one of "sharing axles"." "I’m a fan of small cars and EVs, so the news of the Skoda E Citigo is giving me all kinds of feelings. The world needs more small, not-necessarily-million-mile-range EVs. Disappointed that the Honda Urban EV is going to be priced as a premium car, though. Goal: missed..." says Jimi. 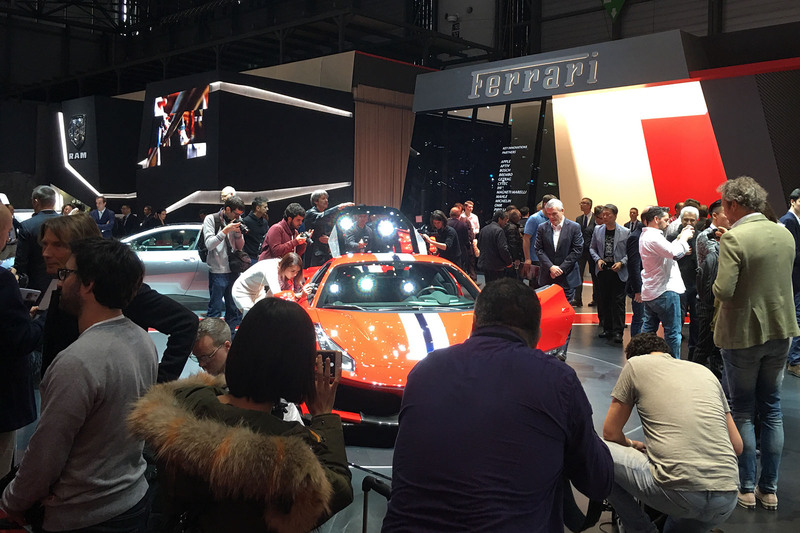 Rachel's sparking a pun arms race that she can't possibly win around these parts... "One of the busiest stands I’ve seen all day: not surprising when there’s a new Ferrari in sight. And they’ve not gone off-Pista here. (See what I did there?)" "McLaren didn't just want to use the Senna name on a variant of a car - it had to be a bespoke car. So says McLaren boss Mike Flewitt, who says there are no plans to use the Senna name again. He's not ruling it out - but believes it to be highly unlikely." 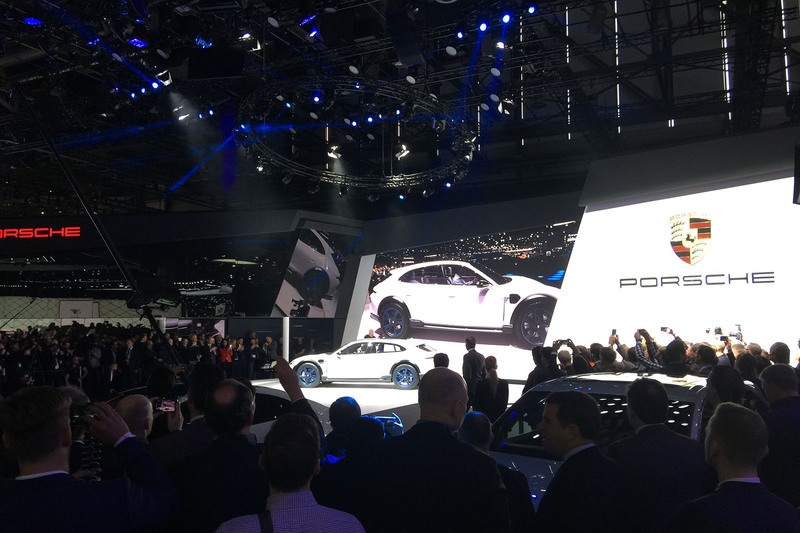 "If only every car company CEO could speak with the clarity, conviction and energy of PSA Group chief Carlos Tavares," says Jim, "In 45 minutes he covered everything from union relations to electrification and it’s clear he has a plan for pretty much eventuality. The former, of course, is especially relevant for the UK’s Ellesmere Port plant, which Tavares says has “unfortunately suffered complacency for several decades” in terms of costs and quality. His message is simple: the plant must either close the gap to European rivals or face a bleak future. The method behind the Auris, as told by Tish: "Toyota opted to stick with the Auris name rather than switch back to Corolla for the car's third generation, as it believes the name is now "well established and respected", according to Toyota Europe boss Johan van Zyl. Many buyers associate Auris with hybrid just as much as the Prius, and with Toyota ditching diesel and promoting hybrid even harder, the move could have had negative consequences." ...and what of the opinion-splitting T-Roc convertible? "Diess expects the recently confirmed T-Roc convertible to make up 10% of T-Roc sales. He says he sees it more as a Golf convertible replacement than an SUV convertible. Plus, he’s driven it and says it’s gone down very well internally." Rachel's nabbed VW boss Herbert Diess for a talk about the brand's future: "Talked with Dr Diess about his plans for its performance GTI and R. It won’t go down the route of Seat and its new standalone brand Cupra but still plans to add more R variants. T-Roc and Tiguan Rs are possible in future." Things are looking up at Vauxhall's hottest rival, Ford, too, says Jim: "Ford Europe boss Steve Armstrong is in upbeat form, promising a return to profits off the back of popular new product launches with the Ford Fiesta and Ford Ecosport. Last year, the firm's hopes for a profitable run were undone by $600m of losses following the currency swing in the wake of the Brexit vote but he says that, while the currency situation remains less than ideal, the growth sales and profitability should see the company firmly in the black this year. Ford's highlight of the show is the third-generation Mustang Bullitt, a car which Armstrong describes as "spreading some magic across the entire range". Jim's just had a 'buoyant' chat with Vauxhall/Opel boss Michael Loscheller, who "talks up the positives of his first nine months (highlight - cutting costs by 17% so far) while acknowledging the challenges ahead (“there is still a lot more to do to hit our targets”). He cites small but significant wins from just being single minded on reducing complexity, recalling his discovery that the Insignia used to be sold with 27 steering wheel options, more than half of which attracted less than 1% of buyers. In total, he says options available have been halved already. He reiterates too that Vauxhall and Ellesmere are “key assets” for the firm but adds that they “must respond to the challenges” that CEO Carlos Tavares has laid down on cost savings." "We will continue to invest and it remains a good technology," so says Skoda tech boss Christian Strube on diesel to Mark. He says the VW Group will replace its entire engine range in 2020 to further reduce CO2, and diesel will be part of the plan and investment will continue as normal. Tish is filling in the details on the upcoming Nissan Juke rival from Skoda: "Skoda's Vision X previews many new technologies, as well as a new small SUV. As for production chances for the various elements, the small SUV is coming next year. The electric back axle hybrid four-wheel drive hybrid tech is around 3-4 years away across a range of VW Group models. The hybrid system, meanwhile, can work with a CNG-powered engine, which is production-ready but needs customer demand for the technology to really take off." 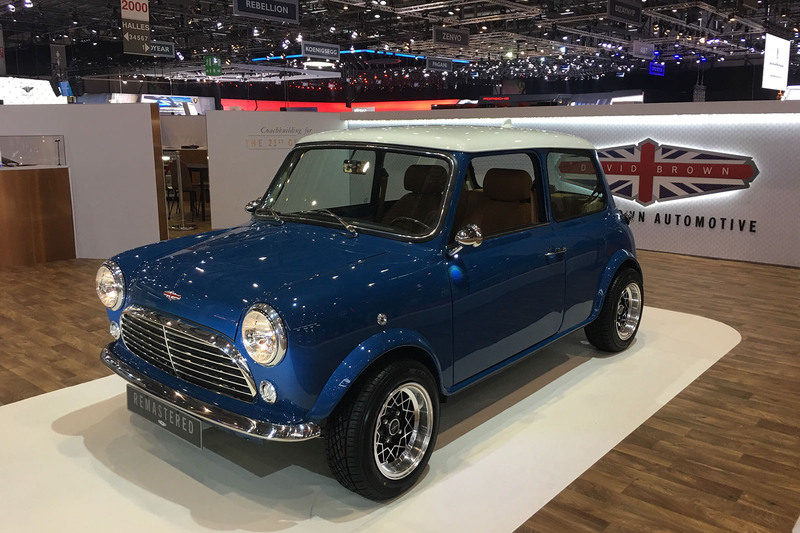 Rachel's more enamoured by the Mini Remastered, though: "They cost a fortune but these Mini Remastered models from David Brown Automotive are SO cool"
We’ve been chatting to Luca de Meo, Seat boss, about Seat’s recent success. He attributes it to a “favourable product cycle” - I.e. lots of relatively new models and the economical recovery of some of its more traditional markets such as Spain. Meo added that Seat has the youngest car buyers in Europe on its side - 10 years younger than the average buyer at 43 years old. Once a motorsport journalist, always a motorsport journalist: "I'm quite taken by the number of racing cars and track concepts that have been unveiled - particularly the Alpine A110 GT4 racing car. But I'm keeping my fingers crossed it could be followed by a rally version, in honours of the original A110 which claimed six World Rally Championship wins, including the 1973 Monte Carlo Rally," says James Attwood. Jim's out car spotting in the halls: "Hidden in the furthest corner of the Audi stand is this - are we going to get our best look yet at the e-Tron - Audi’s answer to the I-Pace - later today?" Rachel's asking the hard-ball questions: "Mitsubishi Europe sales and marketing boss Guillaume Cartier isn’t worried about the pressures of the WLTP real-world testing emissions. When asked how the car maker is preparing he answered “PHEV” referencing its plug-in hybrid powertrain in the Outlander PHEV. Clearly, he thinks it’s in a better position than many..."
Rachel's impressed by the I-Pace: "I’ve previously only seen the new I-Pace in red. It looks quite different in the white - making the rear end much more pronounced. I’d go for red. Either way, so far it’s made an excellent impression. Steve Cropley has a go in it yesterday and was thoroughly impressed." 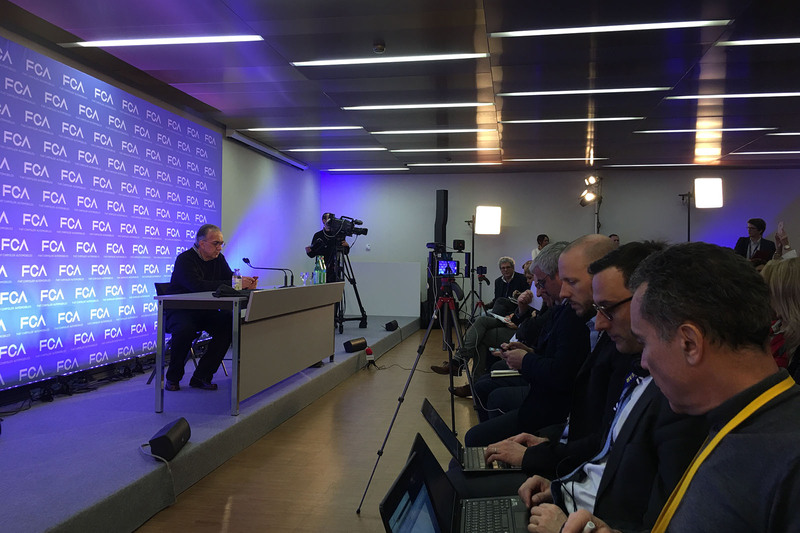 Well, when you've got a spare few minutes... "Sergio Marchionne has arrived early for his press conference, taken the stage and... proceeded to answer his emails before an audience of 100 or so hacks. Either that, or he’s playing Pokemon." Either way, Jim's itching to get his first question in. The model looks equally as perplexed, Andrew. "Gordon Murray says his business continues to expand, but I detect a feeling of frustration that clients won't publicly commit to iStream process," says Steve Cropley, who's grabbed Murray for a chat. "Says he has two who will go public when (imminent) contracts are signed. Continues to work with Yamaha. They've now built 30 prototypes but company still deciding what to put into production." …and neither did MAT. Come on - if you need a model on your stand to draw eyes to a Lancia Stratos you’re doing something wrong. Kahn didn’t get the memo about not using 'booth babes' any more. 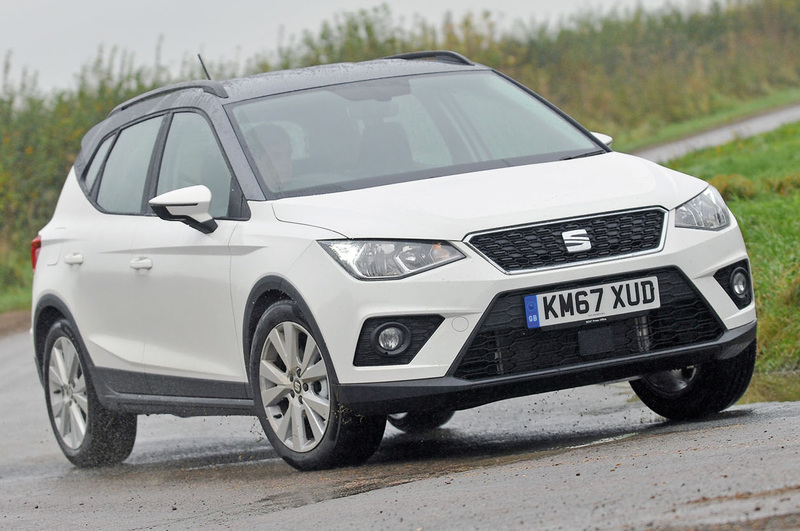 "I've been speaking to Seat boss Luca de Meo,' says Rachel, "He says of its new performance brand that it will entice people into the brand who would never have considered a regular Seat model. 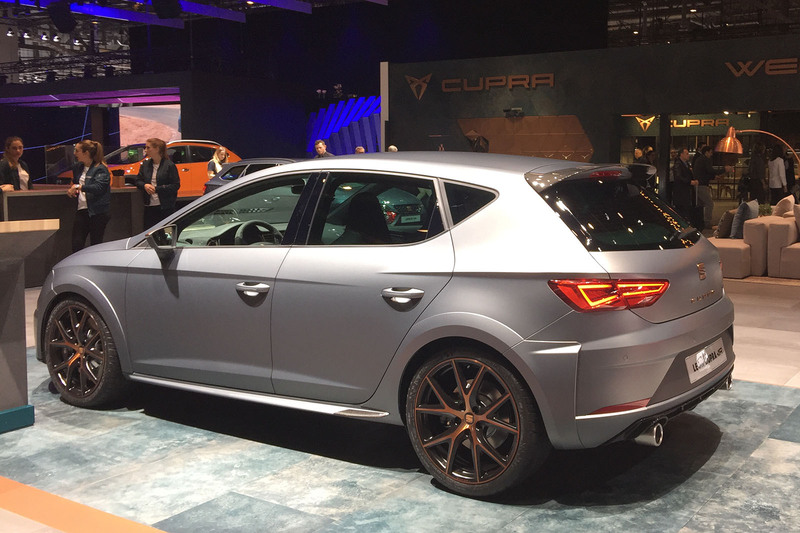 Early reactions to Cupra have been that it’s ‘very cool’. 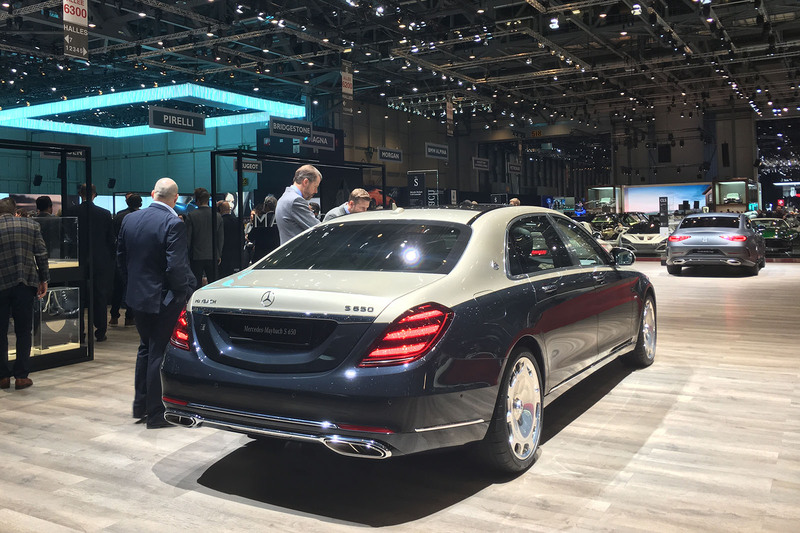 "The new Mercedes-Maybach S650 hasn’t changed much but this two-tone paint is one fresh feature. I’m unintentionally following Bentley’s Stefan Sielaff around too, checking out the competition." Rachel's doing some inadvertent stalking between interviews: "The tall, suave man here is Stefan Sielaff, Bentley design boss, doing the rounds before a day of media interviews no doubt, including with us." BREAKING NEWS: New Bugatti boss Stephan Winkelmann has confirmed that conceptual work has begun on new models beyond the Chiron - but refused to divulge the nature of the cars that are being investigated as the firm looks to expand its model offerings. Rachel's eyeing up the Senna in blue: "It’s the first time I’ve seen the McLaren Senna in the flesh. As per the pictures, it’s not pretty, but it wears this classy gloss blue well." Jim's feeling thoughtful about Hyundai: "The March of Hyundai continues apace, with two smart, forward thinking cars on the stand and an empty space for one more to come later. Both the Nexo and Kona Electric are hugely credible. The leap for Hyundai will be to make them truly desirable, so that their cars are not just bought by rational thinkers. Every launch brings progress... but what will bring the breakthrough?" BREAKING NEWS: Porsche has revealed the Mission E Cross Turismo concept, an estate, off-road friendly version of the Mission E electric car, due in 2019. Read the full story here. 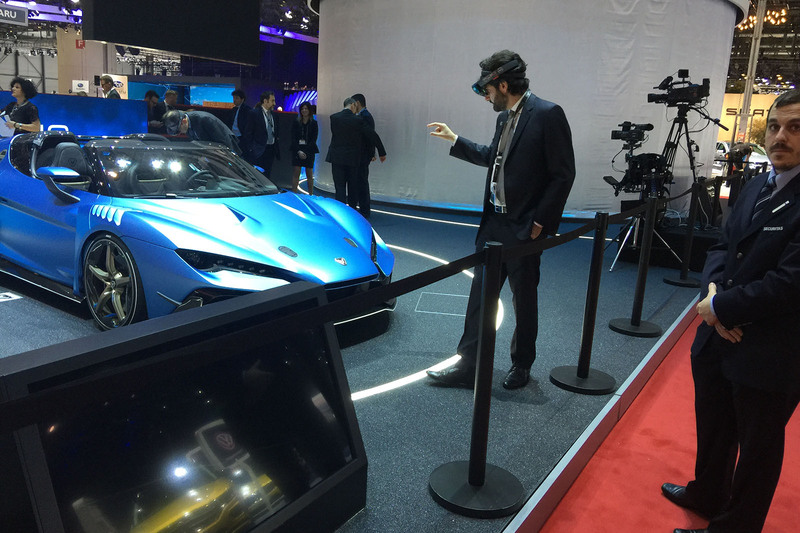 Tish is avoiding being whacked by a flailing Italian arm: "Italdesign is using virtual reality technology to bring its Zerouno Duerta to life, which makes for an odd sight of well dressed Italian men waving their arms about next to it. The future, hey?" BIG NEWS: We had a go in the production Jaguar I-Pace. Read Steve Cropley's review here and get the first impression of the UK's first home-grown mass-market EV. The confusing early days of the Cupra brand: all new Cupra models will do without Seat badging yet the existing Leon Cupra R, front and centre of the new Cupra annex of Seat's stand, retains its Seat badges. Jim's remaining topical: "It took less than a minute to note the demise of the booth babe appears to have been overstated. It’s a two-sided argument, but you have to wonder if it isn’t time the car industry moved with the times." Whip the sheet off, Tish, we dare you: "New Bugatti alert. The Veyron was famous for many things, one of which was an extraordinary amount of special editions in tiny batches. Similar treatment is due for the Chiron, starting today." 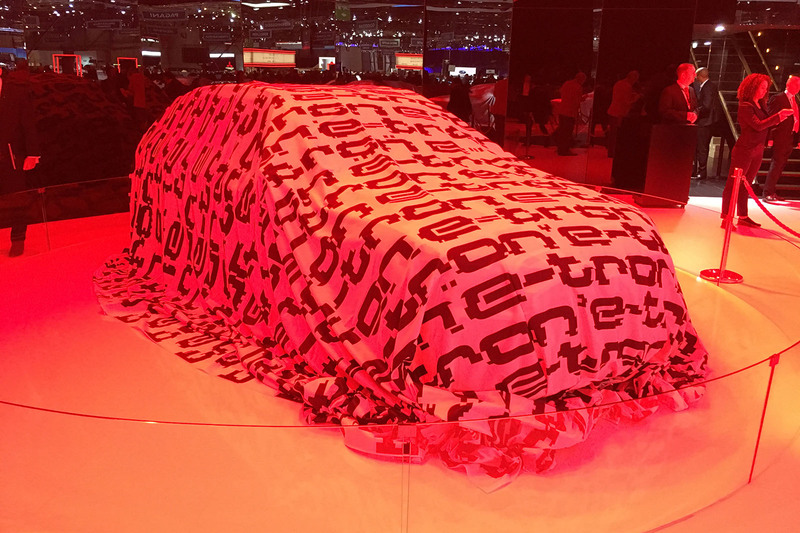 Jim's getting stoked for the Supra: "Under that cover lies one of the stories of the show - an as yet unseen concept in racing livery that hints at what the all-new Supra will look like. Big sheet or no big sheet, there’s no hiding that rear wing." Editor Mark Tisshaw is ready: "The calm before the storm. We've snuck in early to find show halls packed with cars under covers, last minute meetings being had with stand staff, and rehearsals for press conferences under way. 10 mins to go..."
Good morning Autocar readers, we're back - live from the Palexpo convention centre in Geneva, and our Twickenham base, day 2 of the 2018 Geneva motor show is go. Scroll down for all of last night's action from Volkswagen Group night, and even further down to take a look at the cars set to be revealed and on display today. Jim's biting the Bullitt with Ford UK boss Andy Barratt: "Sales of the Bullitt Mustang won't be limited in the UK, although Andy Barratt hopes to strike the balance of "selling one less car than there is demand for" in order to preserve demand for the car and develop its status as a collectors' item. "It's an emotional vehicle that can change people's view of who we are as a company," said Barratt. "Ford has a proud history of building affordable performance cars and the Bullitt is the latest iteration of that." Rachel's been hunting news too: "Honda UK boss admits its new CR-V, revealed at the show, is in a tricky marketplace these days. He's relying on Honda's famously loyal customers for sales and the introduction of seven-seat and hybrid options for the first time to entice a new generation of buyers, too." Matt Prior's still on the hunt for news: "Just spoke to Adrian Hallmark [Bentley CEO] - issues with Continental GT refinement (pdk particularly) are now resolved, just some processes to resolve but the launch is now quarter two this year." 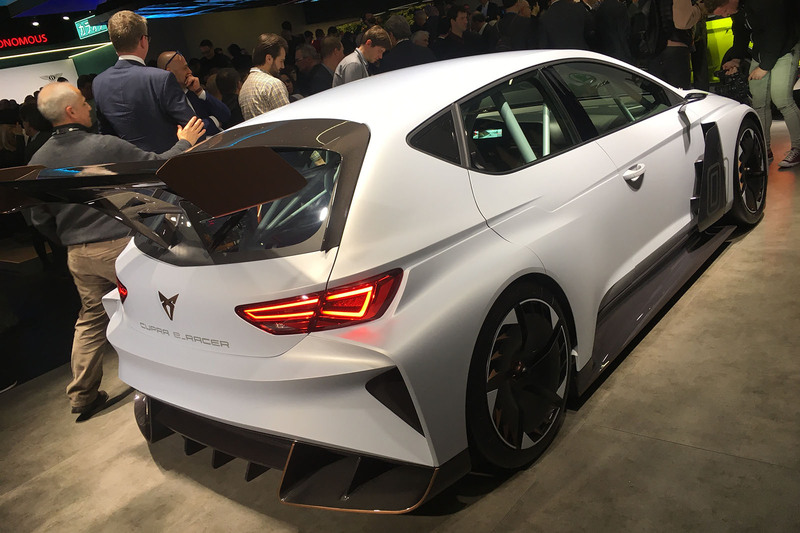 The wing on the Cupra e-Racer prompted expletives from an unnamed Autocar staffer upon seeing the sheer size of the thing. Cosworth who? 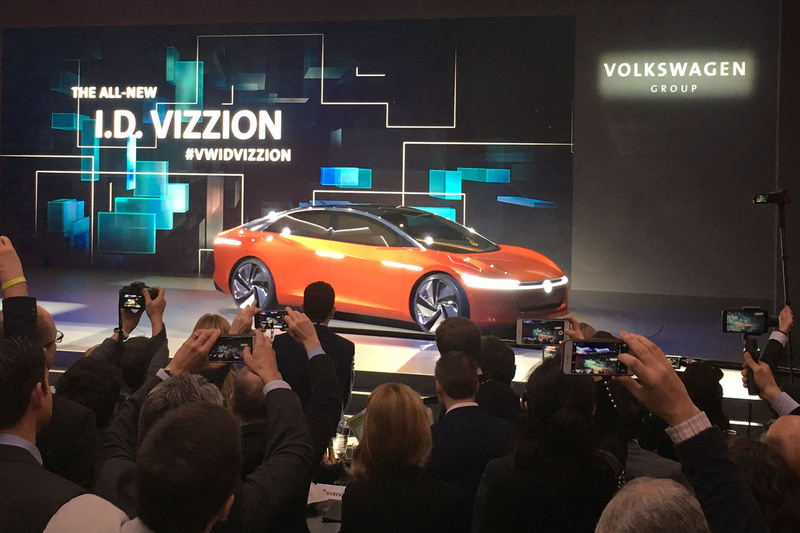 BREAKING NEWS: Volkswagen has confirmed that it will put the ID Vizzion electric saloon concept into production in 2021. It'll be based on the VW Group's MEB architecture, and will be the size of a Volkswagen Passat. It'll be the flagship of the ID range. It'll have a range of 600km (372 miles). Jim's rubbing shoulders with the descendants of Hollywood royals: "There's a bit of Hollywood in Geneva: the Mustang Bullitt was unveiled by Chase McQueen and Madison McQueen - grandchildren of Steve. Steve’s only son Chad (their dad) was also present." VW Group boss Matthias Muller explains mobility will require co-operation between car makers, governments, cities, etc. "The VW Group understands it is a partner to the cities. We have a team working on urban solutions, who are already working with more than 50 cities." It's not group night news, but it's BREAKING NEWS nonetheless - Ford has confirmed that the Mustang Bullitt will be produced in right-hand drive as well as left, and will go on sale in the UK later this year. All of our ECOTY panel members backed the winner - take a read of what we think about the XC40 here. All in the office are shocked and appalled that Pie Week isn't an international event. Can we stop putting the Geneva motor show on at the same time as British Pie Week please? BREAKING NEWS: Maserati has just announced, and revealed Nerissimo (meaning 'very black') editions of the Ghibli, Quattroporte and Levante. Presumably, for when the Black Edition cars of various other car makers just aren't dark enough. 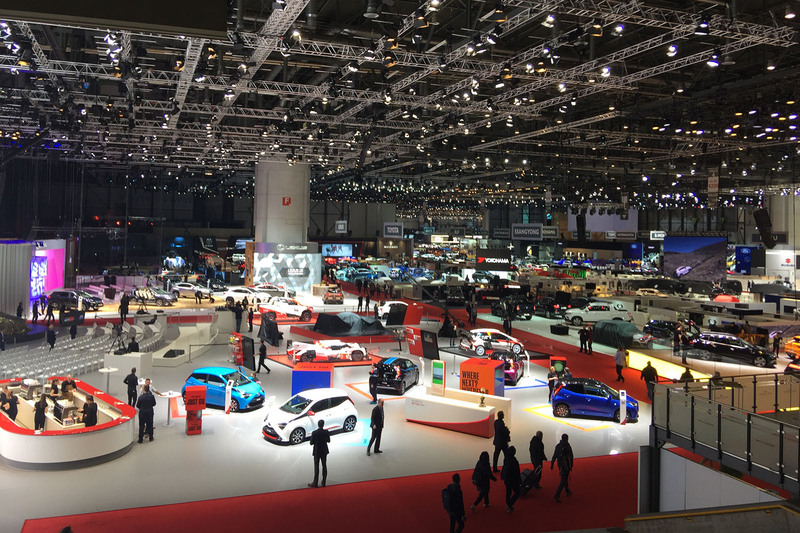 Here we go again - we're live from the 2018 Geneva motor show, with teams both on the ground in Geneva, and working hard from our Twickenham headquarters to bring you all the latest news, updates, opinion and gossip, direct from the year's biggest motoring event. Our team in Geneva consists of Editor-In-Chief Steve Cropley, Editorial Director Jim Holder, Editor Mark Tisshaw, Editor-At-Large Matt Prior, News Editor Rachel Burgess, Senior Contributing Editor Richard Bremner, Contributing Editor Mike Duff and Special Correspondents Hilton Holloway and Julian Rendell. Back in the UK are Digital Editor James Attwood, Senior Staff Writer Sam Sheehan, Staff Writer Jimi Beckwith and Editorial Assistant Sam Jenkins. Jimi, speaking in third person, is your compère for the live blog. The first full production Alpine A110s will be under the Pure and Légende specs, with the former being a more focused and lighter version of the Porsche Cayman rival, and the latter being a more plush, daily-driving-friendly version. With a new BMW 5 Series and Mercedes-Benz E-Class on the scene, the Audi A6 is the oldest of the ‘big three’ executive saloons. With a pre-Geneva reveal, our 28 February cover star has already been seen in full, but Geneva is the first time we've seen it in the metal. It’s a race between Jaguar and Audi to see who can get their electric SUV on sale first, but they're both being revealed in production form at the Geneva show. We’ve already seen both in concept form and neither is due to stray far from their concept’s flavour. 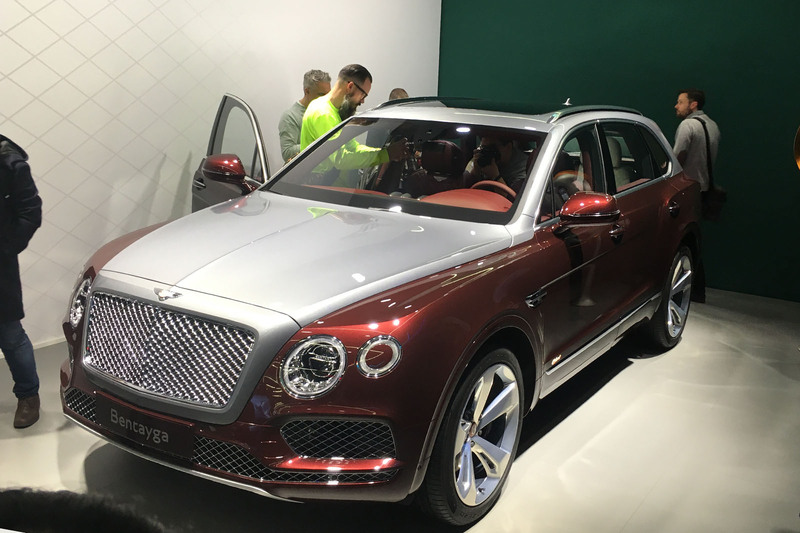 Bentley has already revealed the Bentayga V8 away from a motor show, but its first in-the-metal appearance is at Geneva. It sits alongside the brand's first electrified model, a plug-in hybrid version of the Bentayga that uses the same 3.0-litre hybrid powertrain as the Porsche Cayenne S E-Hybrid. BMW's 600bhp flagship doesn't arrive until 2019, but BMW is showing a concept precursor to the Aston Martin DB11 and Mercedes-AMG S63 rival at Geneva this year. With various leaks of the 8 Series, we know what it'll be based upon, but the M-honed version will add a layer of performance on top of the luxury coupé. The first-generation X4 has only been around since 2014, but the overhaul of the X3 means that the closely related X4 will be dragged into its next generation as well. First deliveries for UK customers are planned for August. A hot M40i variant of the X3 is coming as well. The Chiron hasn't been around long, but Bugatti previewed a rather special version of the car just hours ahead of the Geneva show. The Chiron Sport is 18kg lighter and capable of lapping a track faster than the standard version thanks to fettled suspension. The first (alphabetically) of three PSA group van-like MPVs heading this way, and being revealed at Geneva. The new Berlingo Multispace gets both regular and long-wheelbase variants, and luggage capacity of up to 4000 litres with the seats folded flat. It’s been a while since we first spied the Cupra Ateca, but Seat's first fast SUV finally arrives at the Geneva motor show as the first prong of Cupra as a fully-fledged sub-brand. David Brown's at it again - following the Aston Martin DB4-inspired Speedback GT and the Mini Remastered, the Silverstone-based low-volume car maker is producing a high-performance model, but has as yet only revealed the badge and the name. There's another (yes, another) EV supercar in town - this one's a Swiss creation with 670bhp, a 0-62mph time of 2.3sec and - gasp - four doors. It'll cost around €450,000 when it goes on sale by 2019. 711bhp, 0-62mph in 2.8sec, and a top speed of 211mph make the Pista Ferrari's most powerful V8-engined car yet. Aerodynamic and powertrain tech comes straight from the brand's GTE and 488 Challenge race cars. Ford has only just revealed the facelifted Edge to the American market at the Detroit motor show, but the European version is coming a few months down the line. We'll only get diesels in Europe, and unlike the US, who get a V6-powered Edge ST, ST-Line is the sportiest version we'll get of the large SUV. Ford's littlest model has been given a facelift for 2018, and a rufty-tufty SUV makeover as part of it. The facelifted Ka+ and Ka+ Active will go on sale later in 2018, alongside a Fiesta Active and a Focus Active, as Ford SUV-ifies its lineup for the industry's latest craze. Giorgetto Giugiaro's new company, GFG Style, has produced its first concept, which nods to cars of old with a front canopy and rear gullwing doors. The Sibylla, penned by Italdesign founder Giugiaro and his son Fabrizio, uses EV tech from Chinese company Envision. Hennessey's 1600bhp, 300mph-plus (claimed) hypercar, the F5, gets its European debut at the Geneva show this year. Honda's new Nissan Qashqai rival gets a Geneva debut, with styling mirroring that of the rest of the range. There's a new hybrid version on its way, too - Honda's first since dropping the Insight name from the UK market. Honda's duo of retro-styled EVs are on display, with the Urban EV planned for production next year and the Sports EV coming the year after. It's a big show for Hyundai, with multiple models making their debuts, as well as an all-new design concept. The Le Fil Rouge concept previews the brand's future styling..
Not content with an entry into one of the fastest-growing segments in the industry with the Nissan Juke-rivalling Kona, Hyundai is bringing an electric variant to market as well - the Kona Electric. With two powertrain options, it's got two ranges - one with 186 miles, and the other 292 miles - be afraid, Nissan Leaf. The Hyundai Santa Fe is to enter its fourth generation, with an updated with a new look akin to the Kona above, as well as the brand's latest emergency braking technology - for reverse manoeuvres. Italdesign celebrates 50 years this year, and is celebrating in style with a Zerouno convertible. So far, only preview shots have been revealed, but it's almost certain to have the same V10 engine and similar performance statistics to the coupé. It'll also likely share the coupé's seven-figure price tag. We'll find out the car's name in Geneva. If 2017 was the year of the SUV, 2018 is the year of the electric SUV. 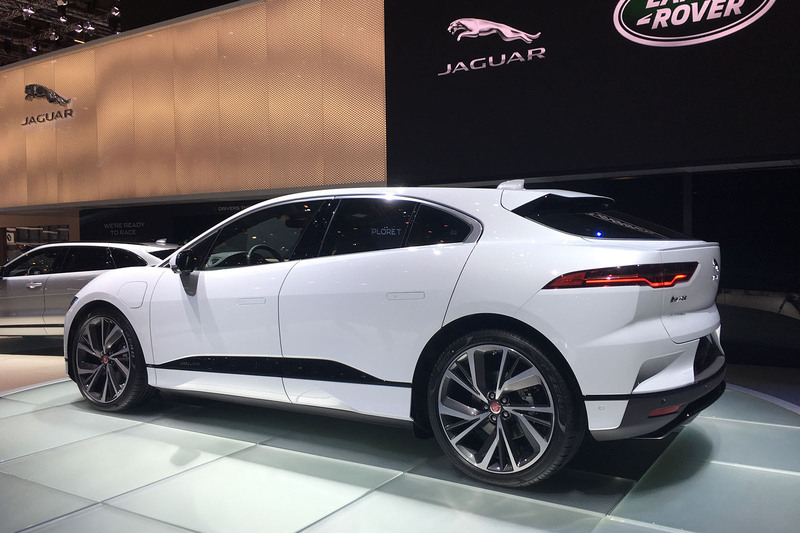 Jaguar is showing the production version of the I-Pace at Geneva; it’s set to be the first direct rival to the Tesla Model X in the UK, but it won’t be on the market alone for long, with the Audi E-tron arriving imminently afterwards. Kia's all-new Focus rival is being revealed in five-door hatchback and estate forms at Geneva, with shooting brake and SUV variants due to arrive later. We've already had a drive in a prototype, which you can read about here. Kia's Ford Mondeo rival has been updated, with the lightest of styling refreshes and two new engines, as well as new safety kit. There's also a sporty GT trim. We’ve been waiting for the production version of Lexus’ first small SUV since the brand revealed its UX concept at the Paris motor show two years ago. Lexus is finally displaying its Jaguar E-Pace rival at this year’s Geneva show as the luxury small SUV segment explodes. A new Chinese electric vehicle company called LVCHI has teamed up with Italian design house I.DE.A to produce a new model called the Venere, which it said is ready for production. We've had a go at lightening an image of the car below. 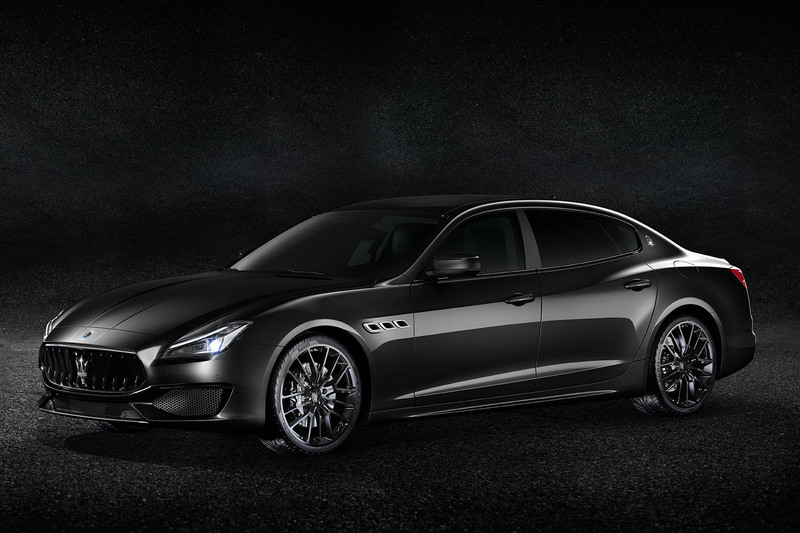 Well, the name doesn't lie - the Nerissimo ('very black') editions of Maserati's four and five door cars have been revealed, with - you guessed it - all-black exteriors. Tech equipment gets an upgrade too. It's been nearly eight years since the Stratos was first revealed in 2010, but it's finally going into production - a 25-unit production run, with each car costing £487,000, plus the donor car, which is a Ferrari F430. 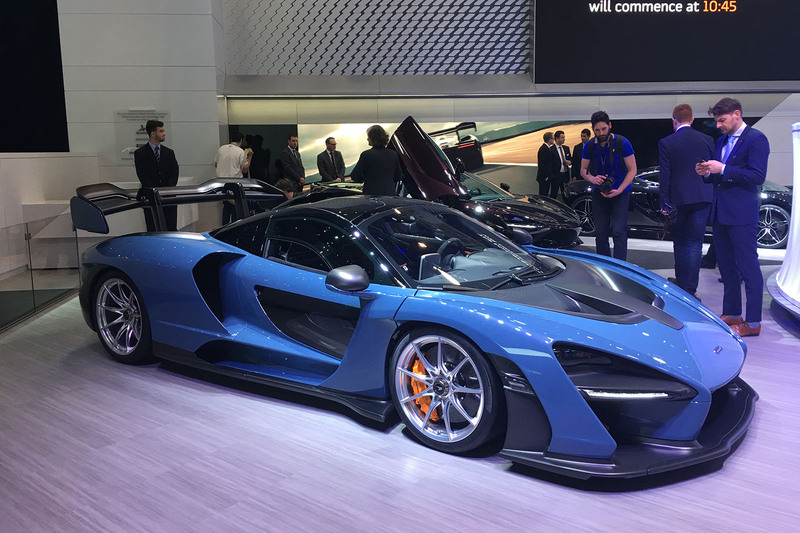 We’ve already seen the Senna – it was revealed at an event for customers at the brand’s Composite Technology Centre in Sheffield – but the Geneva motor show has been chosen for the car’s first public display. It has 789bhp, weighs 1198kg and is claimed to be the quickest-lapping production McLaren yet. The UK's best-selling saloon was revealed in facelifted form ahead of a Geneva debut. It's now got more hybrids in the range, including diesel-electric powertrains, as well as the subtlest of styling refreshes. Mercedes' ultimate S-Class has been given its mid-life refresh following the rest of the luxury limo's range. It now gets a two-tone paint job, more distinct front-end styling and new wheels - all of which take inspiration from the recent Maybach 6 concept. The cooking G-Class was revealed at Detroit motor show, so Geneva is the right place to display the mad, 577bhp AMG G63. Outside, little changes over the outgoing G63, but the brick-like quick G-Wagen's acceleration to 62mph from a standstill has been chopped to 4.5sec. Mercedes-AMG’s answer to the Porsche Panamera is almost upon us, a year after the GT concept was revealed. It's being revealed at the Geneva show with a 604bhp V8 under its bonnet. An 805bhp petrol-electric hybrid powertrain will come later. Mercedes has achieved a lot with the A-Class - it’s in the top ten best-sellers in the UK and is the best-selling premium hatchback. The model is now entering its fourth generation and has adopted Mercedes' new family face, first shown on the third-generation CLS. Mitsubishi is updating the Outlander PHEV for the 2019 model year, with updates to its plug-in hybrid powertrain, interior and exterior. Mitsubishi teased us with the Evo name on its e-Evolution concept, as it gradually turns all of its historic sports cars into SUVs. The e-Evolution is getting a second outing at the Geneva motor show this year, after its debut in Tokyo. the I-Pace and E-Tron, Tesla should be to. I'm pretty sure they're announce details the Model Y before sales of the other 2 start just to bust Jag and VAG's bubble. In the interests of fairness they can buy a ticket like the humans. That would be too much to ask! Apparently it is the largest show on the calendar, but when in the calendar? The second para gives the dates, agree it could be better highlighted tho. Why is Autocar not reporting the news about Toyota’s decision to stop sales of diesel cars in Europe this year? They will continue to sell diesel power in it’s Landcruiser, Hilux and van ranges.